Fridays, April 20 to May 11, 2018 1:00 to 2:00 pm. Recorded event here. Bonfire is a leading next-generation competitive bidding platform that manages the end-to-end procurement process without any paper. It helps public sector entities reach broader audiences and comply with new advertising and reporting requirements - all while saving time, money and paper. 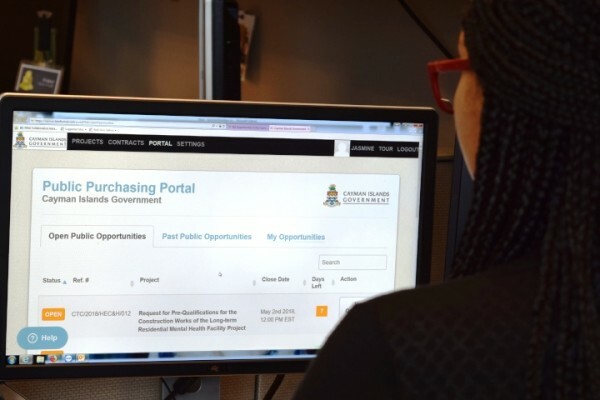 Many people asked to learn more about this e-procurement tool and Rachel Friesen of Bonfire delivered online sessions along with Craig Milley and Liz Gerrie from the Central Procurement Office. If you want to learn more about Bonfire, new tools and technology for procurement in the CIG, legislative changes, or anything else relating to procurement, check out www.procure.gov.ky or contact the CPO at 244-3683 or CPO@gov.ky.